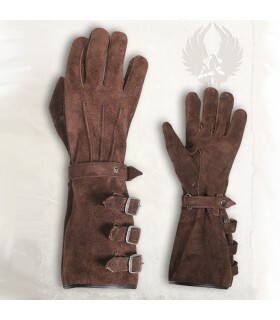 Kandor medieval warrior gloves brown made in high quality suede ideal for combats and recreations. Self-adjustable wrist straps. p>To calculate your size, we recommend measuring the width of the palm of your hand as indicated in the picture of the product. p>Size S: 9 cms.Size M: 10-11 cms.Size L: 12-13 cms. 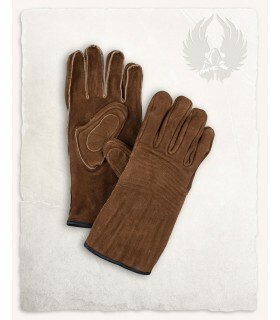 Medieval gloves made of brown suede leather. Closing with rope. 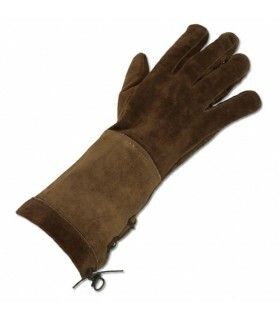 This product is made with natural suede leather. The roughness or color may vary slightly and it can not be guaranteed that the finish is identical from one product to the other. 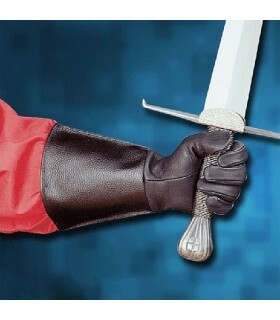 Kandor medieval warrior gloves made in high quality suede, ideal for combats and recreations. Self-adjustable wrist straps. p>To calculate your size, we recommend measuring the width of the palm of your hand as indicated in the picture of the product. p>Size S: 9 cms.Size M: 10-11 cms.Size L: 12-13 cms. Medieval gloves made of split leather. Closing with rope. This product is made with natural suede leather. The roughness or color may vary slightly and it can not be guaranteed that the finish is identical from one product to the other. 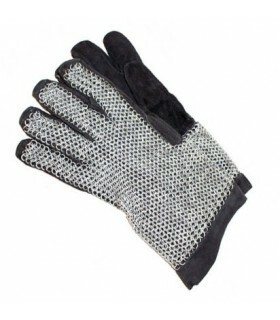 Leather gloves with over protection steel chainmail. One size. 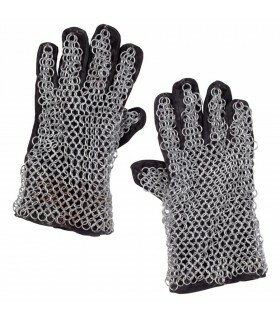 Pair of gloves chainmail rings coated with 9 mm. Made of galvanized steel. 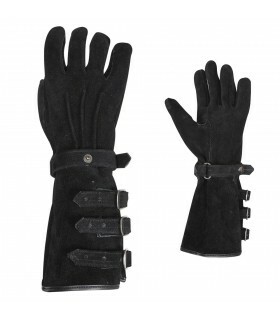 Gloves medieval manufactured in leather, ideal for medieval fighting. 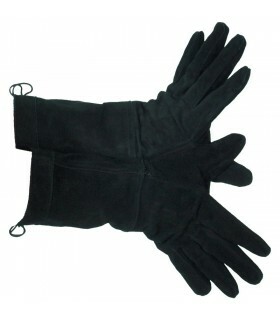 Are some gloves that are simple and come without any type of design that you can customize to your liking, according to your favorite time. Available in 3 sizes. 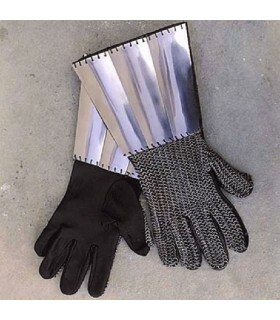 Gloves, medieval leather with protections of chainmail. The metal parts are made of carbon steel with polished and offer a good protection for the hand, wrist and forearm.